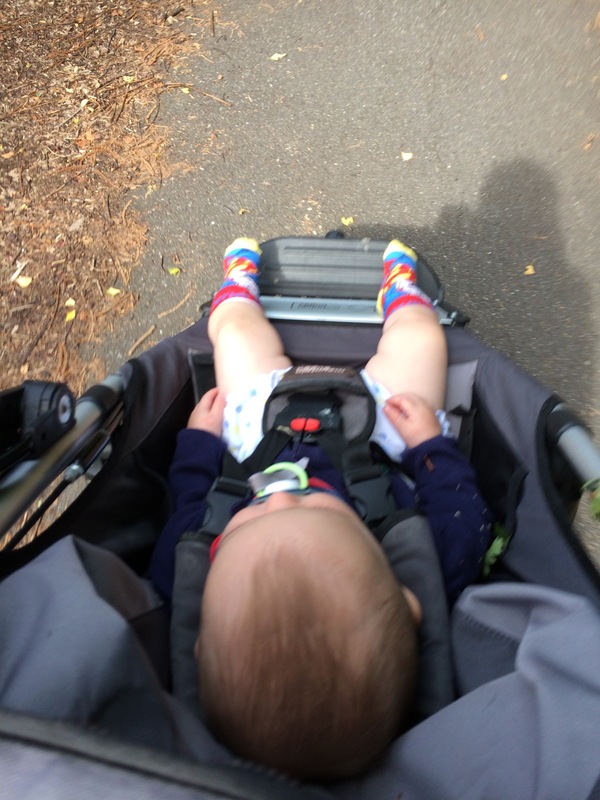 Buggy running isn’t for every parent who runs but for me buggy running combined my intense love of trail pounding with my new found enjoyment of being a parent. 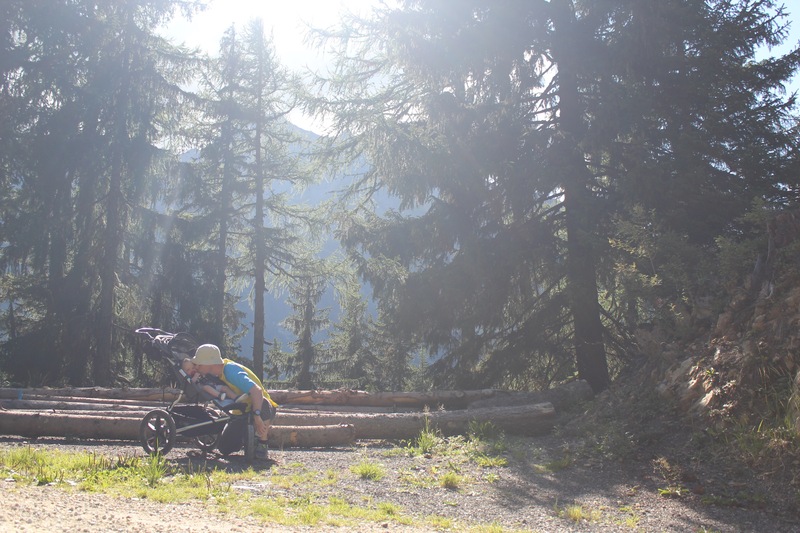 In the months leading up to the arrival of UltraBaby I was very concerned that my running would take a hit and the truth of it is that it has but not nearly as badly as I thought it might and that in part is because of the genius of the Mountain Buggy Terrain. I’ve now been buggy running since the baby was 3 days old and in the near year since we’ve covered a lot of distance together and a lot of hills. I was very careful when I was looking for a buggy capable of taking on the kind of running that I was intending on doing (hills, muddy trails, dry trails, roads). Extensive research meant I quickly discounted the ‘Bob’, MB Urban Jungle and a number of other very high quality transports. So what was it that sold the MB Terrain to me over its competitors? It basically came down to the fact that every review, video and picture that you saw of the Terrain suggested that this was a mountain buggy by name and nature. When I finally managed to road test one of these I was amazed by the versatility and options. The details below give a breakdown to just how much you get for your money. 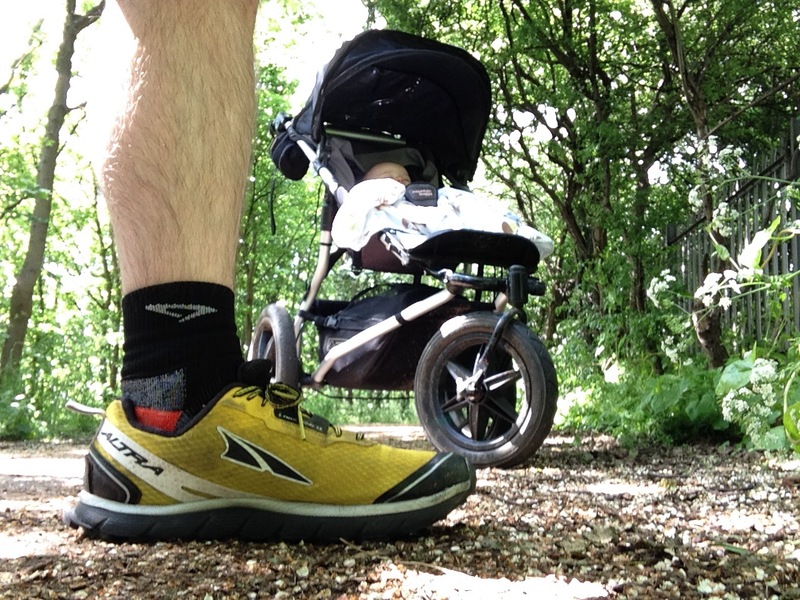 Let’s go back to my first run out with the Terrain – UltraBaby was just 3 days old and my partner was insistent that I used the cot attachment, obviously the Terrain isn’t intended for running with the cot attachment but in my excitement I just wanted to run with my daughter. We bounded out of the house at 3 days old and we came back runners. We went over to the local heritage park a few kilometres from the house. UltraBaby despite lying unstrapped in the cot (and really rather small) remained fairly consistent in her position and simply watched the bright blue sky drift past, I’d have been very happy though to have used the run flat capability of the buggy (and did many times). Feeling more confident we attacked the dusty and muddy BMX trail at the park, including the heavy ascents and descents – with these achieved we banged our way through the muddy wooded trail – it was glorious. The MB was now a tribute to the mud gods but UltraBaby was still as happy as she had been when we left the house. The good news is that MB was great on the trail but what about race day conditions? Pops, UltraBoyRuns, GingaNinja and UltraBaby decided to rock up to the fun run element of the Dartford Bridge 10km – a fast, very flat route. The fun run was about 2km and the MB was as good here as it has been on the trail. We’ve since run every type of condition – mountains in France, Parkruns, road running, winter trail running and so much more. It’s worth noting that it doesn’t matter where we go, how far we go or what the weather is like the Mountain Buggy Terrain takes it all on with great aplomb. It’s light, it’s fast, it’s comfortable for parent to run with and baby to sleep in (and believe me UltraBaby sleeps soundly in it even over the most rocky of ground), the giant back wheels and suspension give great support and I never feel like I have to slow down because I’m secure in the knowledge that the buggy is built for this and importantly on a practical point I’ve got space for everything I know that a baby might need and even two large water bottle holders which hold everything I need on the move. 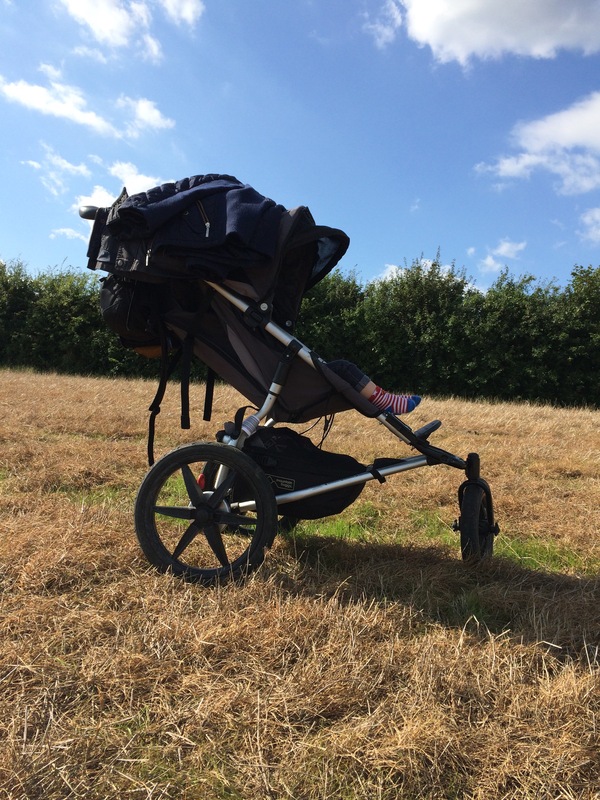 The one caveat I’ll add is that the buggy is expensive and it’s a specialist item – but we’ve had lots of use out of it, more than we expected but still a price of around £500 means this will be off putting for some. 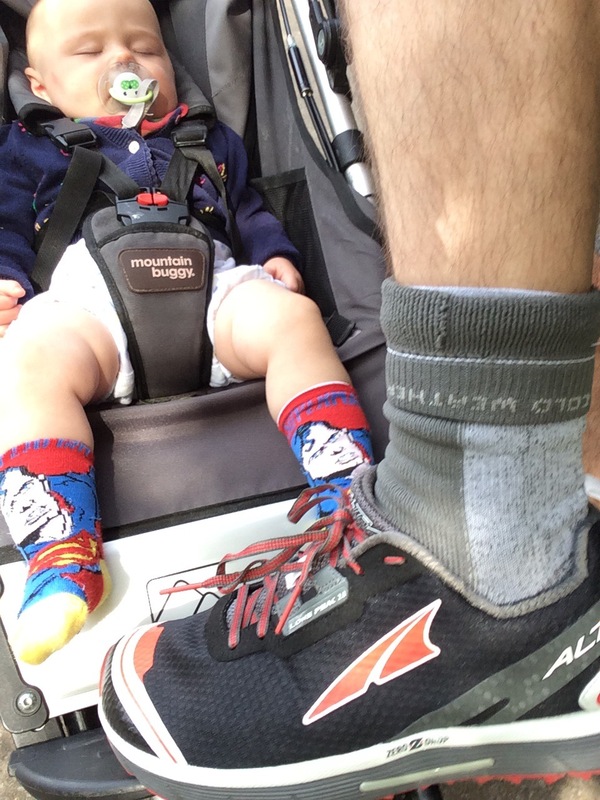 However, as a parent who runs a lot and wants his daughter to experience the literal highs and lows of running I wouldn’t be without my MB Terrain – or as we call it ‘The UltraMobile’. Well hopefully she will be at Ranscombe, I might ask Traviss if she can do a lap again, but this time she’d be in the buggy instead of strapped to my chest!